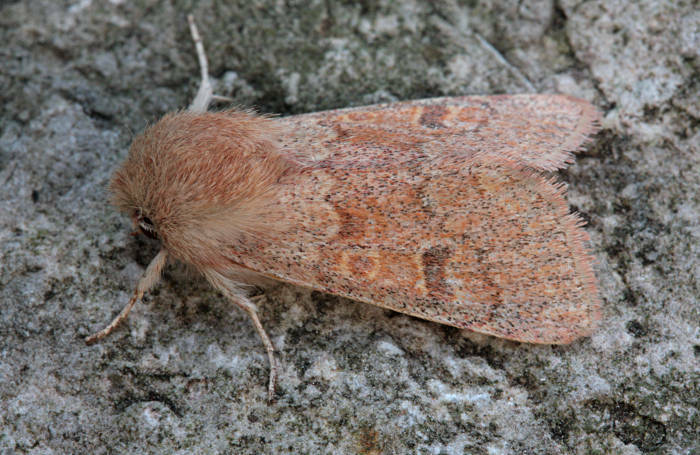 Notes: Local in oak woodland and mature hedgerows throughout much of southern England and Wales, north to Cumbria, also appearing as a migrant in the south. 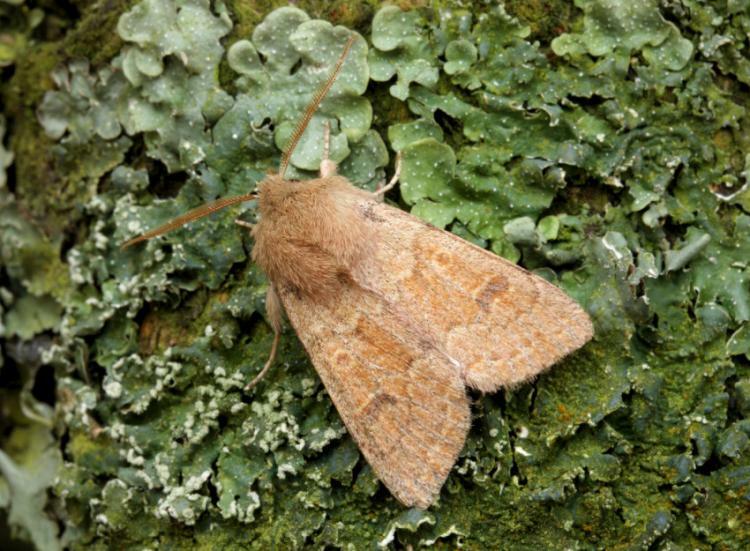 In Hampshire and on the Isle of Wight reported from scattered localities, and can be locally fairly common, for example in the New Forest, with some records relating to immigration. 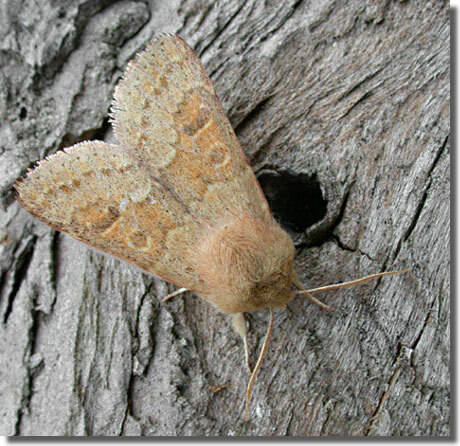 Wingspan 32-38 mm. 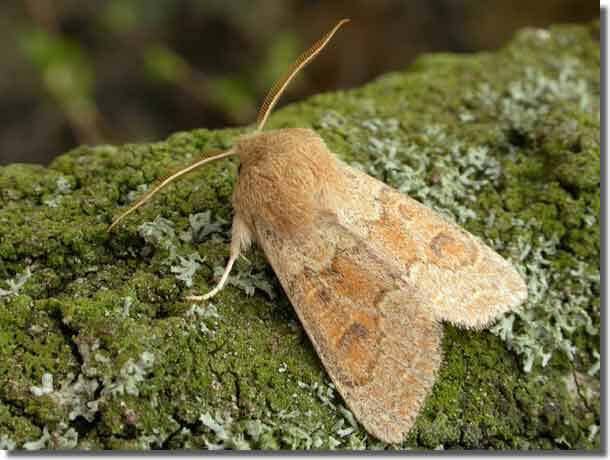 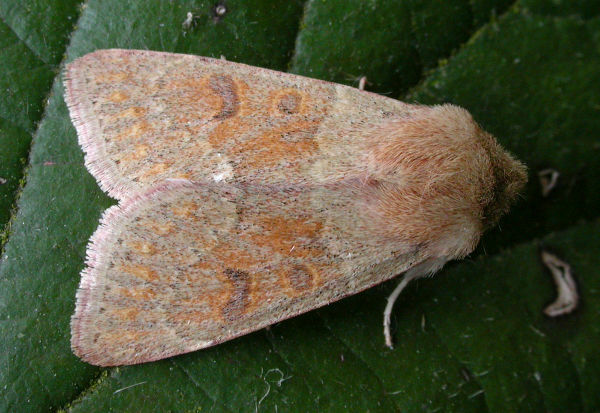 The main confusion species, Common Quaker O. cerasi, has subterminal line complete and pale; upper stigmata clearly outlined whitish; median fascia, when present, narrow and dark; hindwing fuscous (MBGBI Vol 9). 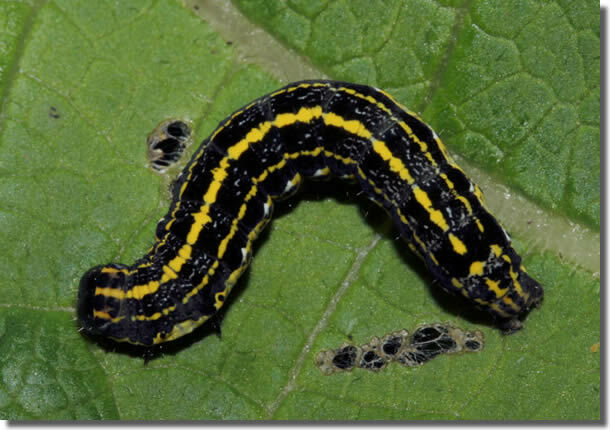 Larva feeds on Sessile Oak and Pedunculate Oak; also polyphagous on various herbaceous plants, over-wintering as a pupa.